I was a little hesitant to try these but am very happy with our outcome so far. Both my children have enjoyed picking a new card each night and reading it a couple of times over. The oils smell amazing too and I find myself using them too. 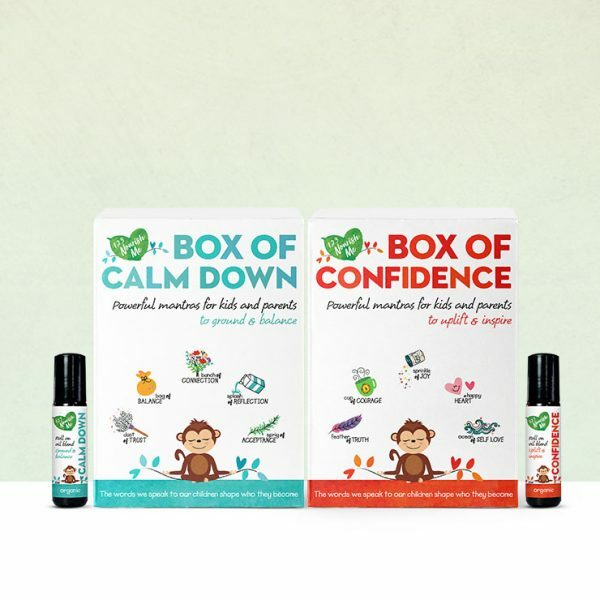 I am so glad I purchased the ‘Box of Confidence’ & ‘Box of Calm Down’ kit. The oils smell delightful and I’ve tested out the calm down oils and it worked. Thank you for your work and dedication to make out wonderful world a better and safer place.